The City hosts academic and cultural studios for universities interested in the urban discourse in South Africa. We have organised visits for various visiting professors and postgraduate students from the United States and Europe. In October 2014 we curated the trip of Harvard University’s Masters degree elective course on 21st Century Architecture of Africa and the Diaspora. 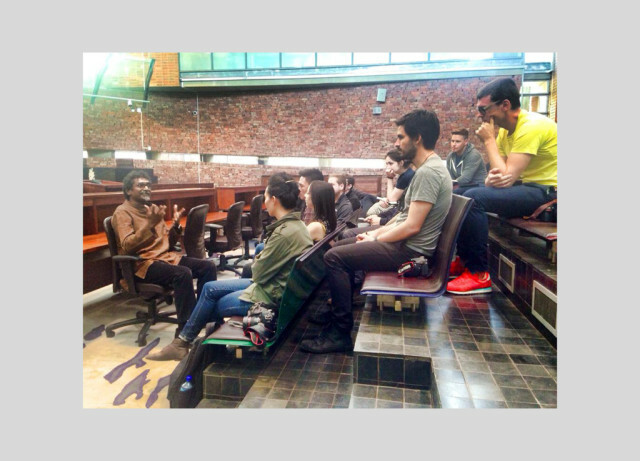 Architect, Sir David Adjaye visited Johannesburg with thirteen of his post graduate students. The course explored post apartheid Johannesburg, as an ideal city that provides the opportunity for defining what African architectural identity can be in the 21st century. Okwui Enwezor joined this visit. Enwezor is well known throughout the global art community – he is the Director of Haus der Kunst in Munich and editor of Nka Journal of Contemporary African Art.